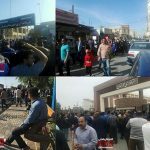 On Saturday, November 24th, the protests at the Haft Tappeh sugarcane factory and the Ahvaz Steel company reached their 20th and 15th days respectively. The Haft Tappeh workers initiated a walkout and protest almost three weeks ago over unpaid wages, deteriorating working conditions, and the forced privatization of the company. Both the workers and the factory itself are on the brink of bankruptcy, with many reporting being forced to purchase basic essentials on credit from local stores. After several of their numbers were arrested, the protestors took their chants and slogans to the Shush governor’s building to demand their immediate release. Following intense international scrutiny and domestic public pressure, the regime released 14 of its 19 prisoners, however, four labor representatives and a civil rights activist remain in regime custody. It is still unclear on what grounds they are being held. The regime has not revealed their charges. 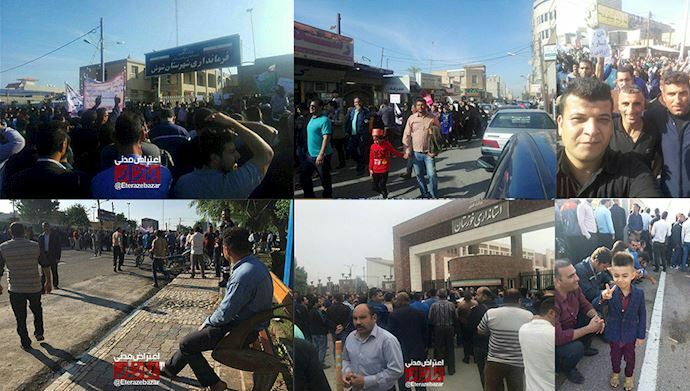 Meanwhile, in Ahvaz, the workers at the Ahvaz Steel Company were facing down regime officials as well. They too have suffered economically due to unpaid salaries. National Steel Group employees, demanding delayed paychecks & release of detained colleagues. "We steel workers, we stand against cruelty & oppression"
After the workers took their demonstration to the Khuzestan governate, regime officials opened channels of negotiations with the workers. However, they would not be fed lies and false hope. They made it clear they would not end the protest until they saw evidence of concrete actions designed to improve their working conditions and alleviate their financial hardship. Like many other protests in recent years, including among Iran’s truck drivers and teachers, the strikes took a decidedly anti-regime tone. In Shush, protestors from Haft Tappeh chanted “imprisoned workers must be freed”. In Ahvaz, the workers chanted “we will fight against tyranny”. These chants are significant as it shows a break with protests in the past, which have focused on specific demands and grievances. While both protests are seeking a resolution from the regime to pay out their unpaid wages, they are also both part of a wider Iranian movement calling for the regime to be held accountable for its tyrannical and financial ruinous policies that have plunged Iran into an economic freefall. Government mismanagement and corruption has increasingly taken center-stage at protests since the nationwide protests in December and January, in which the People’s Mujahedin Organisation of Iran (MEK) played a major role. In Shush, the workers at Haft Tappeh called on their fellow citizens to rise up and join them, a sentiment echoed by the leader of Iran opposition, the President-elect Maryam Rajavi. Some days, the workers were joined by merchants, teachers, taxi drivers, and local residents. A feeling of solidarity is beginning to emerge as local residents provide the workers with meals and taxi drivers are providing free rides. In Ahvaz, a similar situation is emerging. The people know that their grievances cannot be resolved under this corrupt and greedy regime. Their wages will remain unpaid. The mullahs and their cronies will only get richer, while the rest of Iran struggles to stay afloat. It is clear, regime change is the only option remaining, a fact that is increasingly dawning on both the Iranian public and the regime itself. History is in the making in Ahvaz and Shush. The mullahs will no doubt try to contain the situation. It is up to the rest of Iran to ensure that their voices and their protests will not be contained. They will be heard and their grievances will be addressed.